In 2010, Yesware started as a simple idea. Salespeople needed better tools to help them succeed. Today, we’d like to introduce you to the new Yesware: An all-in-one sales toolkit that has everything you need to sell smarter and faster, right from your inbox. Salespeople have been largely left to watch from the sidelines as their colleagues in marketing got a big boost from the explosion of data-driven marketing automation services. To be successful, sales teams must be enabled with this kind of technology and insights, empowering reps to shape better strategies for sales calls, presentations, emails, and more. 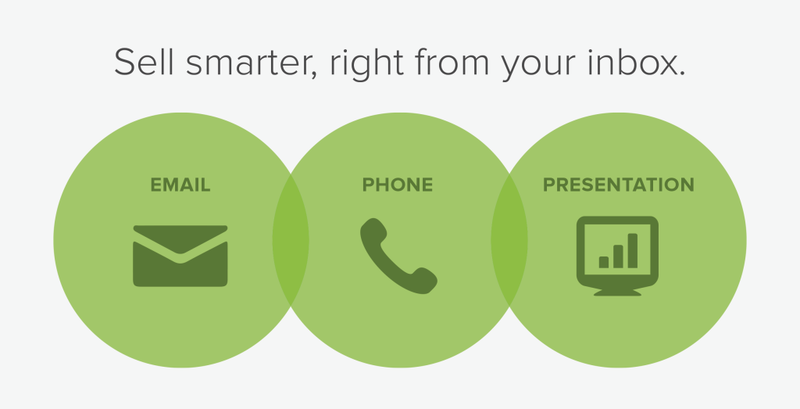 With this recent iteration, Yesware moves beyond email productivity to offer solutions that touch three primary places where the modern sales process takes place: email, phone, and presentations. We’re also excited to be announcing the launch of Yesware for Outlook. We think Yesware’s email tracking already does a pretty great job at showing you what happens after you click send, but sometimes, that’s only half the story. How do you know if the sales presentation you shared was actually helpful or fell flat? Determining what your customer needs and where their focus is can be a challenge. We wanted to make it easier. Yesware’s new Presentation Tracking feature gives you visibility into how prospects spend their time reviewing your materials, so you can ask better questions and tailor conversations to their unique interests. A slew of new engagement insights, easy to access, just a click away. Presentation Tracking is available now for Yesware Team and Enterprise users on Gmail and Outlook. Questions? Check out our handy how-to-guide here or drop us a line at support(at)yesware.com. Over 500 million people use Microsoft Outlook as their primary email client. With a number like that, it’s no wonder one of the most popular requests we’ve heard over the past few years was to bring Yesware to Outlook. You can expect to see even more features come to Yesware for Outlook in the months ahead, making it more powerful while maintaining the ease-of-use Yesware has always been known for. One week after launching Yesware Mobile, we’re back with a new version of the app that brings Yesware Reminders to iOS. Now you can set Reminders to follow-up on existing emails or when you’re composing an email on your iPhone. The new Yesware for Mobile is available for free from the iTunes store. Download now to start setting some Reminders (future self will thank you). We’ve started looking ahead to how we can continue to make Yesware even more useful in your day-to-day.